POP displays, or point of purchase displays, are one of the omnipresent parts of in-person shopping. Whether you're shopping at the grocery store or the hardware store. For electronics, cosmetics, or food. Chances are you're going to (hopefully not literally) run into one of these stands. Creating custom point of purchase displays is a great way to encourage the 'impulse' purchase amongst customers. POP displays incorporate banners, posters, or in our case, turned edge technology, to create engaging displays that drive sales. One of the golden rules of marketing is to stand out. So why do so many retailers still use point of purchase displays for products? Isn't floor space already saturated? They demand attention from shoppers. It's hard not to see a giant display in front of you. Add in color theory and other unconscious cues, and customers are practically drawn to displays. POP displays are cost effective. As far as different marketing strategies go, these kinds of displays are less expensive than other outlets. They're also in the direct path of customers. Depending on the product, there's limited room on packaging to highlight features or comparative information. These personalized displays give more real estate to building a case for WHY this product vs. that product. Some brands are recognizable on sight. The red of Coca Cola, the yellow of Cheerios. Creating a sense of brand awareness means saturating the customer experience. And that's the most compelling argument, isn't it? The impact of POP displays on consumer buying is massive. Transparency Market Research reports that these types of displays have a high level of impact. Particularly in smaller retail shops and in food service. Places where foot traffic is heavy, and impulse buying is almost second nature for customers. 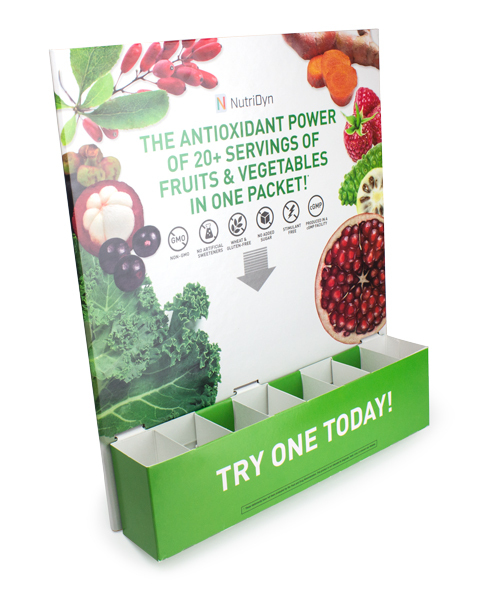 Ready to Design Your Next POP Display? Minnesota-based Sunrise Packaging specializes in packaging materials, as well as crafting the unique design and style of POP displays. Our knowledge of presentation design combined with years of experience in advertising will make the construction process smooth and easy. Ready to create your next custom POP display? Contact Sunrise today! Ah, wedding planning binders. They’ve been a standby in an industry that’s incredibly trendy. Where brides (and grooms) spend an ungodly amount of time trying to be more creative, more innovative, more stylish, and so on. All for a ceremony that’s about as traditional as tradition can get. However, while brides go Bride Wars and work to out-do each other, wedding planning binders is the source for all the initiatives. It might seem that technology would have replaced the hard custom binder, and in some ways, it has. Websites like Pinterest are must-haves (spawning the term ‘pinspo’ for pin + inspiration) for getting ideas and learning how to DIY. Instagram is another source, as can be evidenced by the uptick in giant walls made of flowers after Kimye’s union. Instagram also allows instant photo sharing via hashtags, so wedding guests can upload and share their favorite informal pics at the event. But weddings are more than just pictures and ideas saved to a Pinterest board. There are more elements and sources of inspiration, beyond what can be pinned and posted. As someone who works in the wedding planning world, custom binders can be a great giveaway to new clients. The most obvious use is, of course, getting organized. Include your own templates for the wedding planning, or allow the recipient to customize with their own. Many couples use color coding, custom fonts, and more to stay organized. For added adabtability, include envelopes for loose articles and receipts. It’s ten times easier to show people something than it is to simply tell them about it. Hence the popularity of visual mediums. 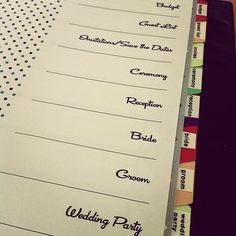 Using wedding planning binders gives your clients the ability to show people the exact color swatches, the exact style of program, maybe even photos of arrangements and other tips. Be sure to include something eye-catching from your own business and industry to draw attention as well – this is a marketing tool, after all! Working with weddings is a time consuming, emotionally-taxing role. You’re dealing with many people making big-budget decisions about what may be the most important day of their lives. Bringing them on board means showing that you care. Whether you are a wedding planner, a caterer, photographer, or some other role, gifting wedding planning binders is literally the gift that keeps giving. Plus, by incorporating your own subtle branding, website and more, you’re sure to add to your own business as well. Contact Sunrise today to start designing your custom binders for weddings! The Girl Scouts have been around for a hundred year, and they’ve been selling cookies for much of that time. Consistently and successfully. While data from the earliest of cookie sales isn’t around, we do know that since 1999, cookie sales have hovered around $700 million. Not too shabby for a longtime door-to-door operation. What many people don’t realize is that the cookie operation is fairly sophisticated, and every Girl Scout has a sales kit that could double as an arsenal. Minnesota organization Sunrise Packaging doesn’t deal in cookies, foods or this kind of box, but we have to give it up to this organization for a job well marketed. A New York Girl Scout uses an upselling tactic that appeals to easing the transaction for clients–in this case, when it comes to math. One box of cookies is $4, and the client wants to buy two…but they only have a $20 bill. 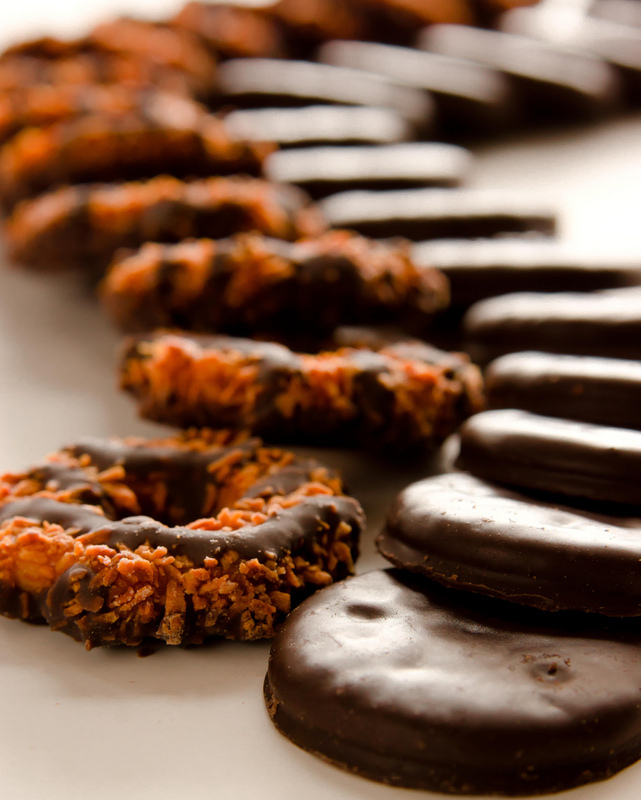 The savvy Scout makes it easier to suggest buying 5 boxes. Fewer bills, more cookies (that are freeze-able, gift-able, etc), it’s a win-win situation. Find those opportunities within your own business to integrate into a sales kit. A Connecticut Girl Scout finds modern ways to connect with customers from beyond her door-to-door sales. She created a parody of Adele’s ‘Hello’, replacing the lyrics to reference cookie selling…and driving traffic to her own cookie-selling website. It’s the goal of any marketing tactic, but it plays on the current societal state of mind (i.e. Adele as one of the most popular artists out there) while driving traffic. It’s a testament to being current and having a grasp on the public consciousness, particularly what will resonate. This has been one of the most popular posts in social media for a while, so you might already know about the New Jersey Girl Scout whose brutally honest reviews of cookies was shared by Mike Rowe. It might seem counter-intuitive to marketers, but it’s a smart tactic to acknowledge the flaws in a product. It shows awareness and, hopefully, intent to fix those flaws. The goal of a sales kit is, naturally, to generate sales. What these Girl Scouts can teach us, when it comes to generating sales, is that having a little more intention, like fundraising, can add to the overall goodwill. It also helps that this is one of the most recognizable brands out there. Iconic packaging design that meets customer expectations is another part of the successful Girl Scout brand recipe. 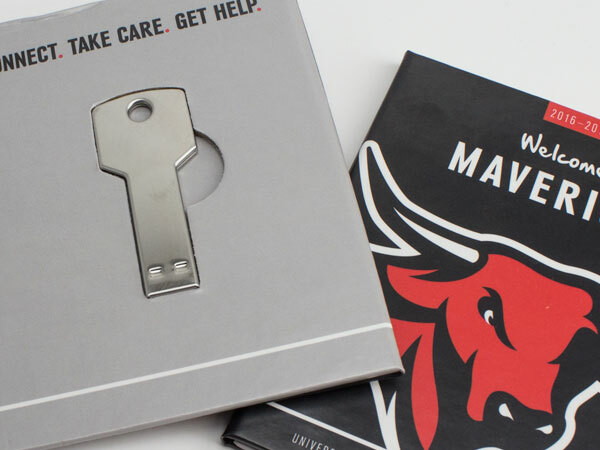 It’s an organization that has been around for a long time, and with this level of savvy sales ingenuity, could move into the future with ease. Although, we might recommend a more rigid custom box to stop those annoying broken cookies in the future! When I think of organization, I have to admit: custom binders do not leap to the top of my list. I'm much more likely to search for an app for organizing notes, recordings, or whatever I need on my smartphone than I am to pick up a binder. But recently, in the most unlikeliest of places, I was reminded that some people are more tactile. I was watching Brooklyn Nine Nine, and the character of Amy Santiago was enjoying a new binder. For those who don't watch the show, Amy is a somewhat Type-A detective with a penchant for organization and procedure. She's tidy, polite, and loves her binders. Amy and her binders are something of a running gag, but there's something to the simple pleasure she receives. In the hyper world of the TV cop show, it's understandable how something so seemingly simple can be soothing and bring calmness. It's a small piece of sanity, a corner of control. When everything else is volatile and subject to the whims of coworkers and criminals, Amy's custom binders are 100% in her control. Why Bind It When You Can Scan It? The ability to pick up and page through a binder is soothing. Users can see everything at once with just a few flips instead of searching through a smartphone. It's a conventional organization system; easy to pick up and intuit, versus someone's private devices. I know that my method of filing (or lack thereof...I prefer to tag things, then just enter a search query when I want it) isn't the same as others. Using a standard system within a binder makes it easier for the entire office to find common resources quickly and efficiently. Scanning/taking pictures of documents on the go is handy, but when it comes to document sharing (especially in a not-so-technology-literate organization), it can get tricky. Especially when no one wants to admit that they don't fully understand how to access something. Take the guesswork out by storing communal resources in custom binders. 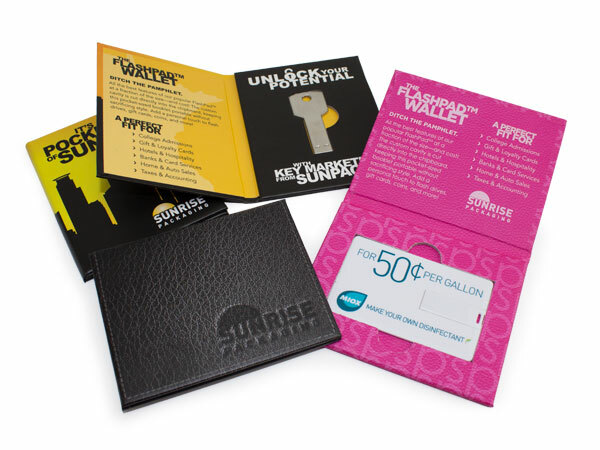 Here at Sunrise Packaging (Minnesota), we've been experimenting with some great new, more durable options for custom binders. New techniques include creating covers from a single piece of chipboard, increasing their ability to withstand pressure and the effects of time. Euro-scoring, or rounded corners, help people grasp binders more easily. It's a great option for larger documentation sets or files. Not to mention that pockets or adhesive trays can be added as well to hold discs, notepads, or anything else that could be useful. 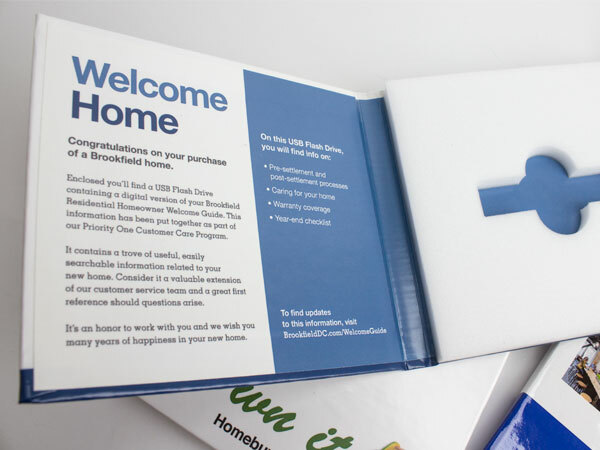 Contact us today to talk about your needs, discuss cover printing options, and more. Amy would be proud!